One of the questions we get asked the most about our digital nomad lifestyle is “How do you do it?”. 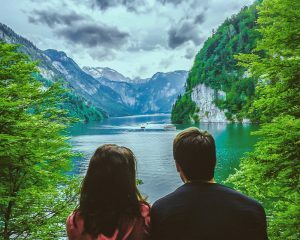 With that in mind, we’ve come up with seven must-know steps to live the digital nomad lifestyle – from preparation and travel to budgeting and finding places to live – so that when you start, your journey will be a little bit easier. 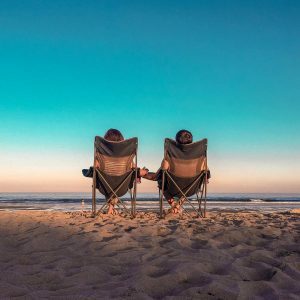 Take a read, and let us know what you think in the comments below – do you want to be a digital nomad? When you become a digital nomad, you can’t have a lot of stuff. We knew this, and made a pre-travel goal of having all our belongings fit in two big suitcases (plus a carry-on) per person. A few months before we left Boston, we got down to business. Facebook Marketplace became our personal garage sale site – we sold furniture, electronics, dishes, you name it. And anything that wouldn’t sell, we gave to our friends or donated to Goodwill. To be fair, we did send some sentimental items to my mom’s house in St. Louis (thanks mom! ), but in the end, we accomplished our goal – everything fit in our two suitcases. Our suitcases for the year – we’ve gotten much better at carrying them now than we were in the beginning! Step 2: Plan Your Digital Nomad Mode of Transport. Now that we could carry everything we owned (it’s a very freeing feeling, I must admit), how would we get from place to place? Drive? We didn’t own a car, and the US is a big place, so that didn’t seem like the best option for us. Flying made much more sense. But wouldn’t that get expensive? Well, lucky for us, there’s such a thing as Southwest Airlines. 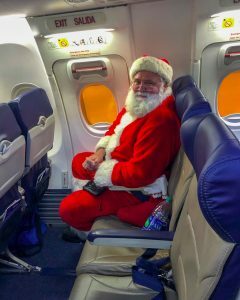 The Companion Pass: If you earn enough points, or accrue enough miles, a designated person can fly for free with you for the remainder of the year you qualify plus the entire next year. So let’s say you earned enough points to get the companion pass in May 2019 – that means that you have the pass for the rest of 2019, plus all of 2020. It. Is. Amazing. So how do you get this coveted pass? At certain times throughout the years, Southwest will offer credit card deals, where you get 40,000-60,000 points if you sign up for that credit card + spend the required amount of money during a specific time period. This allows you to get a significant chunk of points towards your companion pass goal. The required amount of money is usually in the thousands, so we just put everything we could think of on the credit card – no cash purchases for us! (No worries, we were then were responsible adults and paid off the credit card – you have to get the companion pass anyway). Rapid Rewards Program: Once we got the companion pass, we continued using our Southwest credit cards to get travel points. 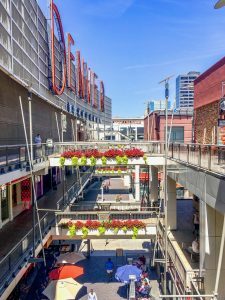 We booked our AirBnbs (more on them in the “Lodging” section) with our Southwest cards, paid at restaurants with them (you get double points for food purchases), etc. Over time, we accumulated so many points that we did not have to pay for flights from city to city – I would book my flight with points, and then Markus would fly for free with the companion pass. Can’t beat that! Bags Fly Free: As we did have two suitcases per person, we obviously needed to transport these bags from city to city. 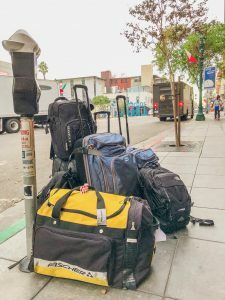 Most airlines charge you to check even just one bag – I recently flew Delta and paid $70 for my one suitcase roundtrip – my suitcase! – but Southwest lets you check two bags completely free. As we’ve been flying every other month, this saves us a great deal of money in the long run. No Changing Fees: When you’re traveling a great deal, chances are that something could come up and you want to change the date of your flight. With most airlines, you can’t do this without incurring a hefty fee – but Southwest lets you change your flight for free. This offers us immense flexibility when making out travel plans. Step 3: Find Your Lodging. We’ve checked out various options, such as VRBO and Homeaway, but AirBnB has won out each and every time. It’s cheaper, has more homes available, and also has some great filters. When searching, you can choose the number of bedrooms and bathrooms you’d like, if the place is work-friendly, if it has a washing machine (yes, please), the price range, etc. – it’s like making a custom home, just for you! 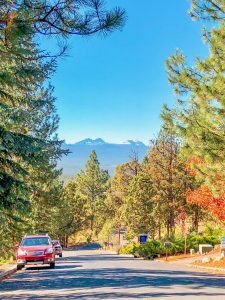 Our AirBnB in Bend was in this beautiful neighborhood – can’t get enough of those mountains. Step 4: Get in the Work Mindset. As we are digital nomads, and not just nomads, we have been working as we travel. I have my own German-English translation business and Markus is a remote cyber security analyst. Neither of us want our work to suffer as we’re on the road, so finding good co-working spaces has been very important to us. If you’ve never heard of a co-working space, it is simply a place where freelancers can go to to work, a shared workspace with other freelancers, an office away from home. Nowadays, most cities have them, and they are the perfect solution for the digital nomad. At most spaces, you buy a monthly membership – either for the entire month or for so many days per month. You can then go in whenever you choose and find a desk at which to work. Monthly costs usually range from $150 for several days a week up to $400 for the very fancy ones. Our co-working spaces are usually around $200, and some even offered us a deal for having two people. But they’ve always been worth it. One, they get us out of the house, and two, they offer us a chance to meet other people living in the area. In San Diego, we even got invited to the office Christmas party! Co-working spaces have also allowed us to stay in the work mindset as we travel – we get up and go to work in the morning, come home at night, and then do our exploring in the evenings and on the weekends. For two work-focused extraverts like ourselves, they’ve been a perfect solution for both finding friends and staying productive. 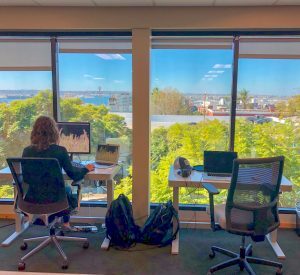 Our co-working space in San Diego had one of the prettiest views yet – the harbor right outside the window! Step Five: Buy the Work and Travel Gear You Need. When working on the road, there is obviously some gear you need to take with you. For example, I need a monitor to do my translations – it is very hard for me to work without it. Before we settle on a co-working space, therefore, I e-mail them and ask if they have monitors to lend to their members. Most do, although they don’t always have a lot – depending on the city, we sometimes have to get up early to make sure to get there and claim a monitor before they are all taken. I therefore always bring a portable monitor with me when traveling – for those days I don’t get a monitor, or the days we work at home. This monitor is easy to carry in a backpack, has a collapsible stand, and one easy cable to hook it up to your laptop. I’d definitely recommend it. I also bring my own keyboard with me – as a translator, I’ve developed a bit of carpal tunnel, so having this ergonomic keyboard that folds up in your backpack has been hugely helpful. Finally, one piece of non-related work gear is our gorilla pod. This flexible mini-tripod allows you to take great pictures by attaching it to your phone and clicking a small remote (selfies without the selfie stick! 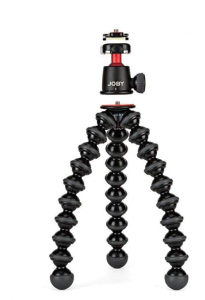 ), and it even has wrappable legs so you can wrap it around a railing or tree branch and take great pictures of you and your travel partner. Very fun! Step 6: Stick to Your Digital Nomad Budget. Everyone’s budget will be different, but our personal goal has been to stay below our previous rent in Boston for our lodging budget. As long as the AirBnB price wasn’t more than we had been paying, it would be okay, although we would try to go cheaper if possible (thanks, Bend). Since Boston is an expensive city, this does give us a bit of wiggle-room, but also some limits as well. For example, we wanted to go to Hawaii, but AirBnBs there were waaaay over our Boston rent – looks like Hawaii will have to be a vacation spot rather than a digital nomad destination. Most AirBnB hosts also discount the price per night if you stay longer than a month – sometimes even up to 60% off. This has been great for us, as we’ve always stayed at least 5 weeks in each city. We also try to be smart about eating out, renting cars, groceries, etc. While we both love to go to restaurants – and both feel that trying out a city’s restaurants and sampling its local cuisine are a great way to get to know a place – we do try to cook at home several nights a week as well. But without a car, how do you get groceries to cook? We’ve found several solutions. Live central enough that a grocery store is in walking distance, and you just bring a backpack with you. Order groceries online. We’ve used AmazonFresh (much cheaper than InstaCart) in some cities, and it’s been great – they bring the food right to your doorstep, that very day! Take advantage of having a car. If you rent a car on a weekend to go on an excursion – such as a cool hike in Bend, or to see the sea lions in San Diego – make sure to go grocery shopping on the way home before bringing the car back to the rental place. Killing two birds with one stone, or, as they say in German, hitting two flies with one fly-swatter. Whatever your choice of animal, it’s worked out well for us so far. Our Denver Air BnB was relatively central, so we both walked to the grocery store and used AmazonFresh. Step 7: Choose Your Cities! Finally, the most fun part – picking where you want to go! For us – assuming the city is within our budget -, we like to go places known for their beautiful nature. Being able to hike, go to the beach, or just walk around in the sunny outdoors is very important to us. What about you? What’s your criteria for picking a city? Let us know in the comments below! Happy travels! To hear more about our travels, check out our podcast interview with Speaking of Translation hosts Corinne McKay and Eve Bodeux – here or wherever you get your podcasts!